If your Client is no longer using your products or services, you may need to issue a refund. 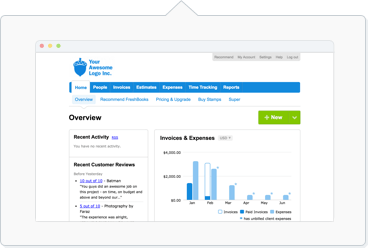 You can first process the refund through your payment gateway (FreshBooks Payments or Stripe) or manually outside of FreshBooks, then update it on your Invoice after. Once the refund has been processed, then you can either delete or edit the payment stored in your account. Note: If you are refunding through FreshBooks Payments (WePay) specifically, the refund will automatically apply to the invoice as well - like magic! Note: You can refund up to 60 days past the date of payment. If you have a payment older than 60 days, please reach out to our Support for help refunding this. Follow the steps outlined by Stripe here. You'll need to process the refund outside of FreshBooks whether it was via cash, check, bank transfer, or a different gateway. This is not needed if you have refunded via FreshBooks Payments (which automatically updates the Invoice for you).